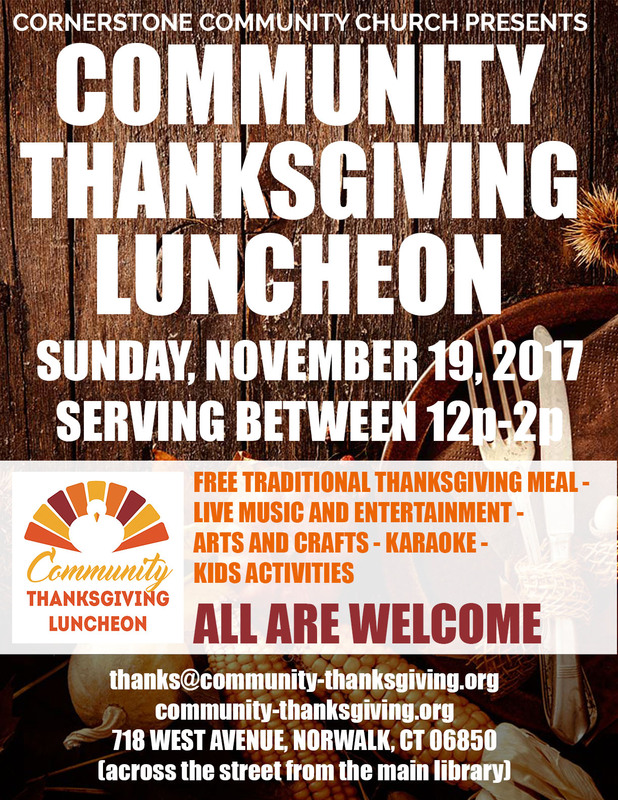 The Community Thanksgiving Luncheon is a non-denominational, inclusive event where everyone is invited to enjoy a traditional Thanksgiving dinner at no cost. Organized and served by volunteers, it brings people of diverse backgrounds together to celebrate community and give thanks. All are welcome! Walk-ins welcome / registration not required. There will also be music, kids' activities, karaoke, and more! Sunday, November 18 between 12p and 2p. Distribute flyers, put out yard signs, display a donation box, like and share on Facebook and Instagram! 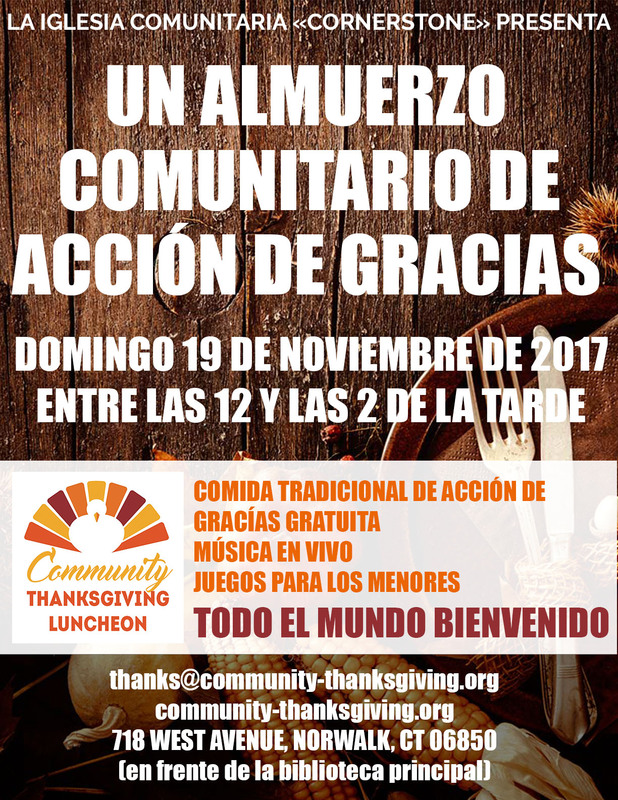 Stay up-to-date on the Community Thanksgiving Luncheon! We won’t spam you or share / sell your contact information and you won’t even hear from us for half of the year. No gift is too small! If you wish to donate, you can do so online via PayPal. If the button below doesn’t work, please try this link. Please make all checks payable to Cornerstone Community Church and write “Community Thanksgiving Luncheon” in the memo line. Cornerstone Community Church is a 501(c)3 organization and all donations are tax deductible. Business donations will be recognized on the Church’s Facebook page! Help spread the word about Norwalk’s 18th Annual Community Thanksgiving Luncheon by downloading the flyer!